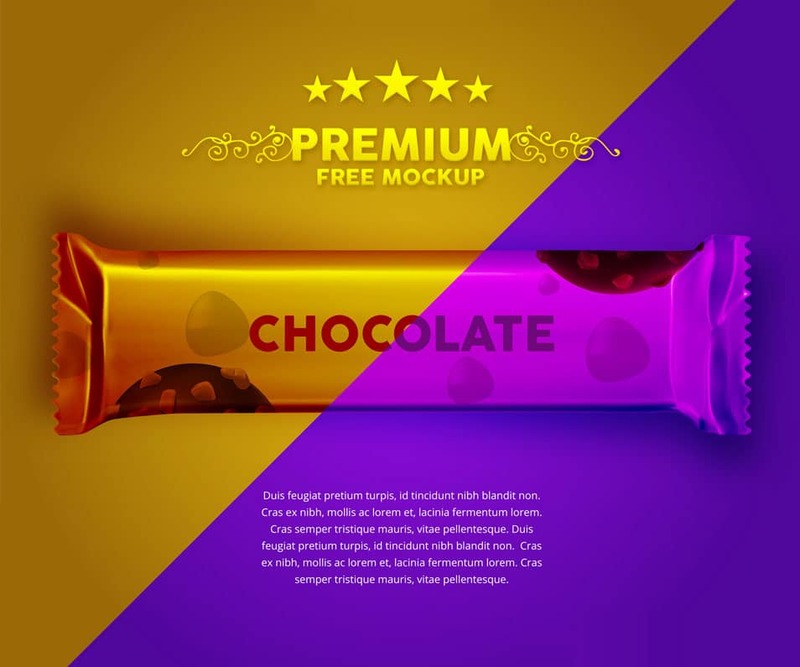 Available for download at freedownloadpsd.com, here comes a free PSD of a Chocolate Wrapper Mockup. The PSD file, which measures 8000 × 7924 pixels at 300 dpi, is easily and fully editable with smart objects. FreeDownloadPSD.com is a source of premium quality design resources offered for free to the design community. Here you’ll find exclusive PSD files specially designed for creative minds. You will find premium quality graphic freebies such as web design templates, UI design kits, mockup designs, icons and so much more. Moreover, this Chocolate Wrapper Mockup is perfect for showcasing your chocolate wrapper designs. The mockup dons a colorful background that you can edit by just a single click. You can modify the mockup according to your project needs and requirements. Finally, in the link, you can find the download tab and the full preview of the mockup. You can also check out other related projects such as a Samsung note mockup, pizza box mockup and so much more.